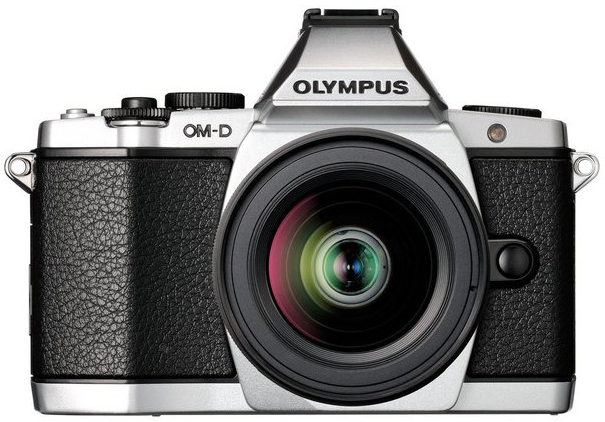 ﻿﻿﻿To begin with, what exactly is a Compact System Camera (CSC)? 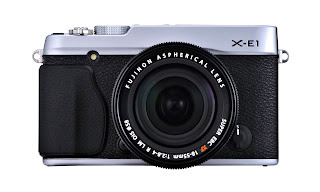 A compact system camera is a cross between a Digital SLR and a point-and-shoot camera. They also have interchangeable lenses but unlike a traditional SLR they have no internal mirror. This makes them a lot smaller in size but maintains the image quality of a crop-frame DSLR. This camera type is a good alternative to a full-size DSLR kit due to the high quality results housed within a much smaller and lighter set up. All the major manufacturers have released at least one CSC model - Canon have the EOS M, Nikon have the 1-Series and Fujifilm have the X-Series. Panasonic and Olympus both use the Micro Four Thirds (MFT) standard which enables these two companies' lenses to be interchangeable. We find two main purchases of compact system cameras with the first being the point-and-shoot upgrader who are looking to step-up to a better camera system with potentially much better results. The second is the DSLR owner who seeks similar image quality as their current kit but in a smaller form factor and without the added bulk. Smaller (more discrete), lighter and a shorter flange focal distance allows almost any lens ever made to be adapted to a CSC body. This allows you to adapt all your existing lenses to many CSC bodies. Greater depth of field can be achieved due to smaller sensor size but shallow depth of field can be harder to achieve. 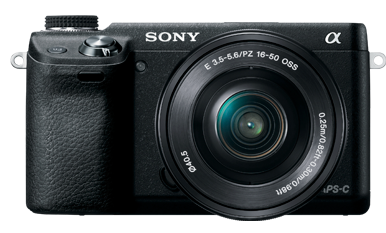 The sensor size is 35% smaller than an APS-C sensor (with the exception of the Canon EOS M series which utilizes an APS-C sensor) and 75% smaller than a full-frame camera. Generally, a digital SLR is easier to keep clean due to the mirror and shutter mechanisms offering basic dust protection. More and more people are discovering the advantages of a smaller system that still has all the functionality of a DSLR system. The weight advantage means it’s a breeze for photographers to travel with a full focal range of lenses and still be able to comfortably lift their camera bag. The lens selection is really starting to grow to a point where a lot of focal lengths and lens types found in a DSLR range are now available to the CSC photographer without compromise on quality. Fujifilm have released a 14mm X-Series lens which is an excellent piece of glass while the Panasonic 25mm Leica lens is arguably one of the best lenses available in the CSC category. The focal lengths available range from 14mm wide all the way up to 600mm in 35mm equivalents. Additionally, this doesn't include all the lenses that can be adapted to the CSC format via a range of third party adapters that are fast becoming more widely available. This is great news as it means you’re now able to mount a majority of old lenses you may have in storage (such as any old Nikon or Canon FD lenses) to your new compact camera. Bear in mind that the focal multiplier for CSC systems vary from 1.6x to 2x depending on which system you adopt. 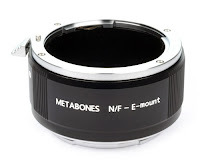 Therefore your old 50mm lens could potentially become a 75mm or even 100mm in focal length! Lenses such as the Nikkor D-Series are popular due to its manual aperture ring and functions. If a manual aperture ring is absent, the lens will still function but will remain locked to the aperture’s setting when unattached to a body. E.g. Canon EF lenses will always remain at their widest aperture. The compact system camera is definitely here to stay. It's not for everyone but it does fill a void in the market for a high quality yet compact camera with interchangeable lenses and is becoming quite regular for amateurs and even advanced enthusiasts to sell their DSLR kit in order to set themselves up with a compact camera that is easier to use and more convenient to carry. Drop in to one of our stores and check out our range of compact system cameras including the three listed below to see if it’s the right move for you! What about the Pentax q-10? Or is the sensor to small to be a contender? The Pentax Q has the smallest sensor size in any of the CSC range, however, it is the only CSC camera that comes close to 'pocket size'. If you need the smallest system because of extreme space requirements then it is worth a look. The build quality is pretty good and the camera has a few fun little features for a good price. It isn't at the top of the image quality pile but it is a really fun little piece of equipment with 4 lenses available at the moment (with in-built distortion correction for them in the body), a little dial on the front for direct access to 4 filters (with 9 filters available), up to 9 shot multiple exposure and shutter speeds of up to 1/2000 of a second. We have them in stock at all stores if you want to come in and check them out.